Asteroids Retro Arcade Game brings all the fun of the classic arcade gameplay in a handheld version. 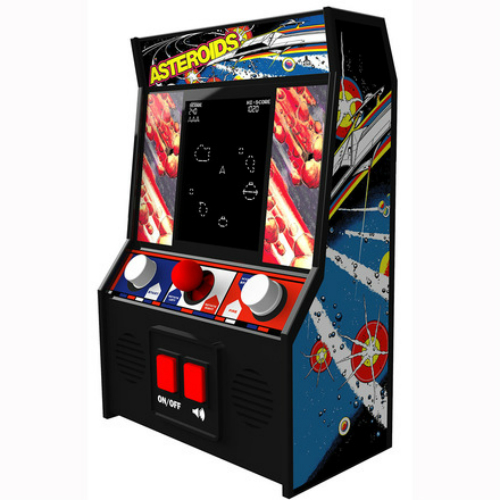 Destroy asteroids and enemy spacecraft just like in the original. Explosive, rapid-fire space action. Hold the fire button for hyperspace mode. 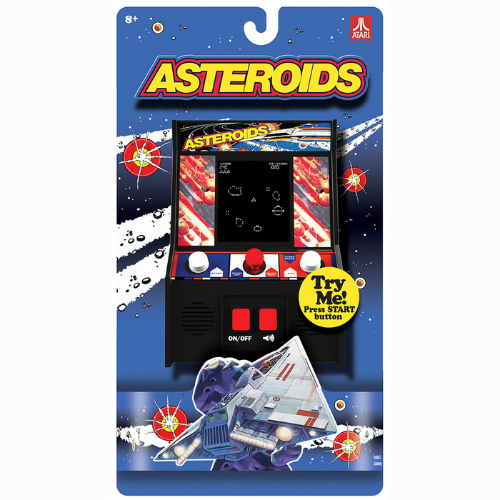 Includes 3 AA batteries. Measures approximately: 6.00 x 11.00 x 2.75 inches..